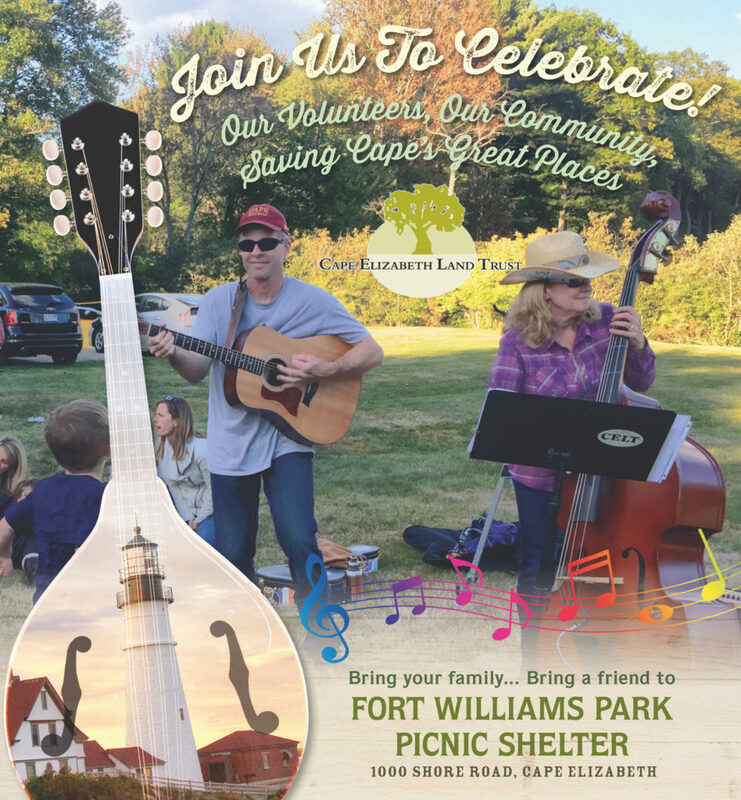 Celebrate Cape Elizabeth this Saturday, September 22, 2018 from 4-6 pm at the Fort Williams Picnic Pavilion. Bring your family…bring a friend to this free, family-friendly community celebration, CELT’s gift to the community. Treat yourself to live bluegrass music by the Earthtone String Band, enter our pie contest, and enjoy local foods served sizzling hot. Bring the kids – education coordinator Natasha Rathlev and her band of volunteers will have some very engaging activities. Special recognition will be made to the many volunteers who work hard tomake the land trust so successful every day. New this year is our Young Chef category! Kids are invited to bring a baked good they helped make. We’re sure these desserts will be delicious, so all Young Chefs will be recognized with an award sticker. Send pie entry details to info@capelandtrust.org, and bring your pie or Young Chef baked good to the Harvest Party between 3:30 and 4:30. Include your name, your pie or baked good’s name, and a list of ingredients on a note card or piece of paper when you drop off your pie or baked good. Pie bakers and Young Chefs will be recognized at approximately 5:30 p.m. Many thanks to our generous sponsors – The Landing at Cape Elizabeth, Saco and Biddeford Savings Bank, and Frank Strout Re/Max Oceanside – without whose support we simply could not offer such a fine event for the community.